New Cosmos label, what does it change for Avril? > Blog > > New Cosmos label, what does it change for Avril? The objective of this new label is to standardize the specifications of organic cosmetics and thus offer the same guarantees to all European consumers. What does the new Cosmos label bring? -Non-biodegradable ingredients are no longer accepted. -More than 95% organic ingredients on vegetable ingredients. -Parabens, phenoxyethanol, nanoparticles, silicone, PEG, perfumes and synthetic colouring, ingredients from animals (except products naturally produced by them: milk, honey, etc.) are forbidden. Will all Avril products become Cosmos? No, because cosmetics launched on the market before that date keep their previous certification. Avril certified organic products that you like will therefore keep the same formula and ingredients. Qualité France logo (for eye and lip pencils) The specifications are similar to Ecocert's, except that it allows cochineal, an ingredient that permits to obtain very intense red pigments for lipsticks, for example . Cosmos Organic logo (for new products launched after January 2017). Be careful, 2 certifications exist: "Organic" and "Natural", the latter being less demanding. Note: some of our products do not have a label because they are not certified organic: this is the case of nail polishes and nail polish removers, these products do not exist in organic version yet. What are the other Avril quality guarantees? -Our products are all made in Europe, mainly in France (if not, in Italy and Spain). Accessories manufactured in Asia are also controlled to offer the same quality guarantees as our products made in France. -We pay particular attention to the choice of ingredients, the formulas contain the maximum of organic and natural ingredients and we make sure that the products are pleasant to use and efficient. 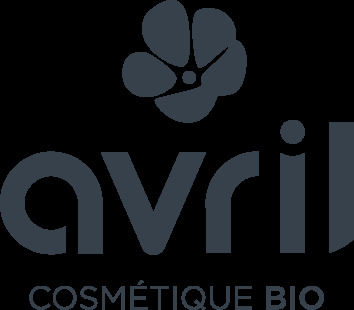 So, you now know what the arrival of the new label Cosmos for Avril cosmetics and for your favorite products! Find below our products featuring the Cosmos label. Do not hesitate to ask us questions!